35% of claims filed with Asurion are for lost or stolen phones, and that number goes up to nearly 50% for iconic devices like the Apple iPhone or Samsung Galaxy. These numbers are high, and the chances your phone will be stolen is even higher during the month of March. Maybe it’s all the spring break travel, maybe it’s forgetful basketball fans taking in the games at bars and restaurants– the possibilities are endless. 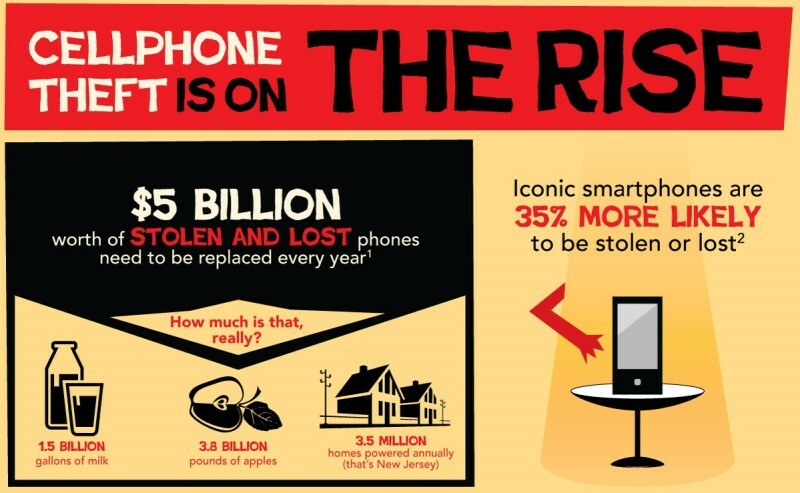 Whatever the reason for this spike in stolen phones, we know that nobody wants to be without their phone for long. In fact, you might be surprised at what people would rather do than be without their cellphones.